What are the recommended areas to buy or rent a moobahn house outside of central Bangkok? By that I mean Bang Bua Thong, Minburi, Pak Kret, Pathum Thani, Taling Chan, Bang Khae, Rama II, etc - the areas with some decent fresh air and more space & greenery. The Ratchapruek Sai Mai station area to the west of the river along the purple line looks particularly green, and once the purple line is connected to the MRT will be easily accessible. Last edited by Immigrunt; 07-05-2017 at 12:07 PM. west of the river along the purple line looks particularly green, and once the purple line is connected to the MRT will be easily accessible. Let me correct that for you? once the purple line is connected to the MRT there will be no green within 5-7 years. Just look at Ratchapreuk for evidence. My choice would be Pakret because it is close to the river. Pathumthani will be underwater again if it floods again. 346Hwy is the last exit on the expressway before ....so anything north of there will be green but with small roads. Last edited by VocalNeal; 07-05-2017 at 06:42 PM. Do you drink and drive? As am I....most of my travel is by the airport link/BTS for work but there's ton's of restaurants and such in the area. I've not been downtown other than to visit my lawyer for over a year now. I really like it here. Having said that...the Wong Wian Yai area looks pretty cool. An urban area that provides the modcons but in 10 minutes driving you're in the country. Recommending them b/c I lived in each for decent spells and REALLY enjoyed both areas (although my experiences are dated, especially for Salaya). Car is practically necessary (but I haven't kept up with rail growth). What's the appeal of Pakkret? I had a look around yesterday and the traffic on Chaengwattana was quite heavy. Do you mean Nichada Thani expat estate or further out or even over the river? Muang Thong is quite nice but how was the traffic on Chaengwattana Soi 33? Salaya has a small town feel which is good. It'll be great when high speed trains arrive. Yeah Puttamonton Park is great. Still pretty empty on weekdays. As has been mentioned as early as the third post though, high speed trains and 'small town feel' do not coexist. Rangsit will be getting a BTS in the not too distant future so that may also be an option. Rent in the area is cheap with houses going between 5000 THB to 15,000 THB depending on size and the quality of moobahn. Future Park should satisfy most shopping needs. There appear to be a few hospitals but never used them in 7 years of living in Rangsit so can't comment on the quality. The small roads off the khlongs make for decent cycling routes- very green and serene. 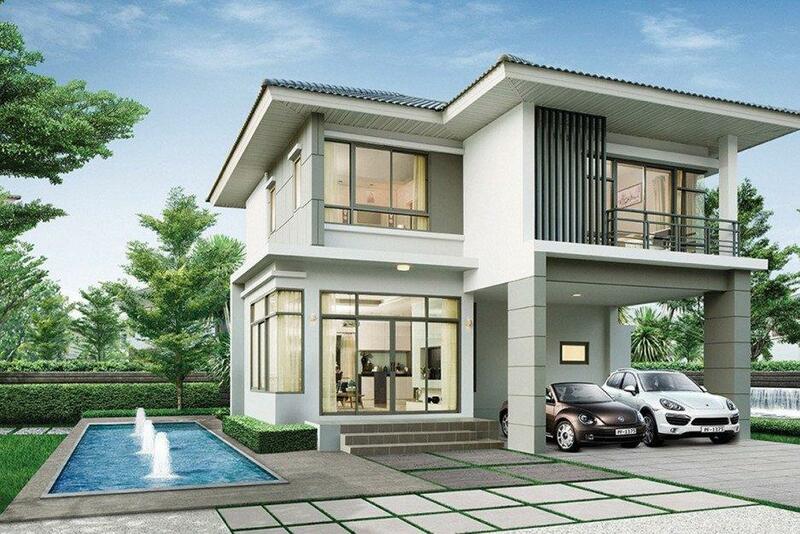 If you want to be a house you'll get something decent for under 5 million baht easy- much less that that actually! https://en.m.wikipedia.org/wiki/Ban_Thap_Chang_Station and tell me it looks ungreen and densely populated. Then read that https://www.theguardian.com/artandde...rogers-critics about a green low population area that's been 17 minutes commute from central London for ages. What's inside Nichada? I've seen a lake on Google maps. Is it residents only access? isn't it under the Don Muang flight path though? The silom line goes to Bang Wa - pretty sure that is across the river? We're talking about main line high speed rail into a capital city from a nearby small town. As Bangkok has none, other examples serve the purpose. Swearing won't make you right. There's some nice greenery too. With the number of new MRT routes scheduled to come online over the next 5 years, many of the huge number of areas they'll serve will remain green for a decade or two at least. are you talking about the one between "centan" and the flyover ? ^ People cutting into the queue is what causes the queue. If only there was less me me me thinking on roads worldwide things would flow much more quickly. Pretty sure he means the one at the riverside after Major.